41 million. That’s the number of plastic bags thrown out in the City of Boulder in just one year. Those are the findings from a report by EcoCycle. Nationwide, shoppers use 102 billion plastic shopping bags every year. 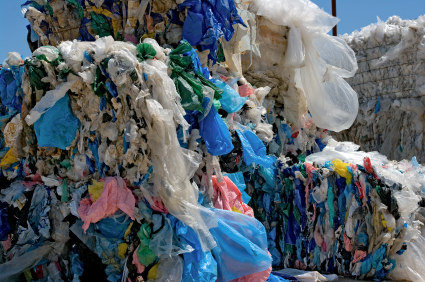 Last year in Boulder County, residents discarded 781 tons of disposable plastic bags. Each individual bag on average weighs a mere 0.0013 pounds, so when you do the math, the number of bags in the waste stream for the county is around 120 million. Thanks to the advocacy of a bunch of great, environmentally tuned-in young people, Boulder has a chance to do something about the plastic bag epidemic. Anyone who’s watched the City Council meetings on Channel 8 has seen the students from Fairview High School’s Net Zero Club and Summit Middle School asking the nine council members to tackle this problem. The students want to see the city take action. So do I.
It’s not like we’d be the first community to regulate disposable plastic bags. San Francisco, Washington, D.C., Palo Alto, and Los Angeles County have all passed legislation aimed at reducing or banning these hard-to-recycle products. In Washington, D.C., after a five cent fee on plastic bags was imposed, their use declined by a whopping eighty-two percent. EcoCycle estimates that if we were to put a ten cent fee on plastic bags, use would drop by sixty three percent; if we were to put a twenty cent fee in place, use would drop by eighty-three percent. We have an opportunity to do something in Boulder to reduce the use of these bags which have a wide range of damaging effects, from plastic-choked gyres in the ocean to clogged storm drains to litter. It’s the right thing to do for the environment. As we move forward with tackling the plastic bag epidemic, we need to work with the local merchants who would be affected, their customers, and the students who have advocated so passionately for change We should also carefully study the programs that other communities have put in place and how successful they have been. Finally, we should always remember that there is no such thing as a free plastic bag. We are all paying for them in the cost of the products we buy. So, c’mon council, let’s give the green light to move forward and take advantage of this opportunity!